When they meet each other on Thursday from 21:30 IST at the Sharjah Cricket Stadium, Kabul Zwanan and Paktia Panthers will bring the group stages of the 2018 APL to a conclusion. With both teams assured of spots in the semi-finals, they have the luxury of approaching the match without significant pressure. Interestingly, Kabul and Paktia had kick-started the Afghanistan Premier League by serving up a high-scoring thriller in the opening match of the season. Eventually, Laurie Evans' unbeaten 79 sealed a last-over triumph for Zwanan. 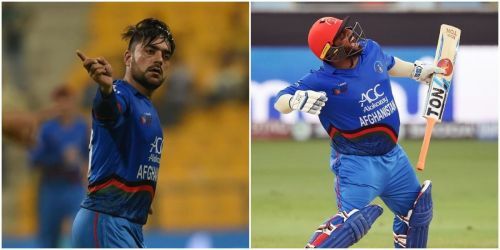 In all probability, Mohammad Shahzad and Hazratullah Zazai will open the batting for Afghanistan during their next T20I. This time around, they are in opposing camps and hold the key for their respective sides. While the Paktia skipper has been more consistent, the Kabul opener has produced two of the most impactful knocks in the season thus far. After curtailing his aggressive batting approach during the early phase of the tournament, Luke Ronchi is gradually getting back to his belligerent best. His 14-ball 31 against a strong Kandahar bowling attack could be a stepping stone for bigger efforts. Laurie Evans and Sikandar Raza are reliable operators in the middle-order for Kabul and Paktia respectively. Their composed mindset as well as ability to manoeuvre the strike make them certain picks in this fantasy lineup. Following a slew of below-par performances, Rashid Khan picked himself up and produced a game-changing 8-ball 27 to procure a stunning victory. With the tournament approaching its business stages, Kabul will be hoping that their talisman all-rounder is back on track. Factoring the inconsistent display of Kabul's bowling unit into account, there must be heavy Paktia presence in the lower-half of this team. Leg-spinner Shahid Afridi's tight leg-spin can build pressure on the opposition batsmen during the crucial middle-overs. Sri Lankan seamer Isuru Udana has kept numerous batsmen guessing by varying his pace and length smartly. During the Power Play overs, the left-armer's tussle with Kabul's in-form openers should make for fascinating viewing. The left-arm spin of Sharafuddin Ashraf is serving the Panthers reasonably well. Although he is capable of registering an eye-catching spell, the unpredictable nature of Sharjah pitches means that tempered expectations might be more prudent. Despite not featuring regularly at the beginning of the tournament, medium pacer Ziaur Rahman has managed to impress when the opportunity finally presented itself. The 20-year old's knack of picking key wickets should him in good stead during the upcoming matches.